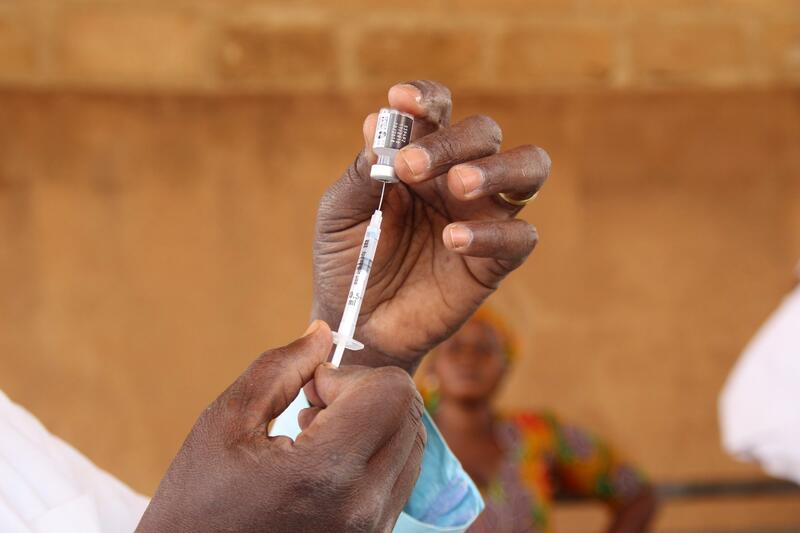 Immunizations are one of the most cost-effective health interventions. Yet some vaccines are too expensive to be distributed in low- and middle-income countries. The price of pharmaceuticals around the world can vary dramatically depending on who's paying for the drugs and where those patients happen to live. Take the pneumonia vaccine. Doctors Without Borders just struck a deal on it for refugee children in Greece. The aid group will pay $9 per immunization for a drug with a list price of $540. In local Greek pharmacies, the vaccine costs $168. France pays $189 for the inoculation while the far less wealthy nation of Lebanon pays $243 for it, according to the group. In India you can get it for roughly $60. The global drug pricing system is "broken," says Fatima Suleman, a professor of pharmaceutical sciences at the University of KwaZulu-Natal in Durban, South Africa. "Affordability used to be an issue primarily for low- and middle-income countries, but it's now a global issue," she says. This weekend, Suleman is participating in the Fair Pricing Forum, a conference sponsored by the World Health Organization. The event brings together pharmaceutical executives, government health officials, academics and advocacy groups to look at ways to make global drug prices more affordable — while also benefiting drug manufacturers. We called up Suleman, who specializes in pharmaceutical policy, to ask her how the global health community could help patients get access to medicines they need and allow drug companies to reach much larger markets. This interview has been edited for length and clarity. Why not just let the free market sort out the price? Well, because we are looking at a free market that's failing. Otherwise, why would something like insulin — that's almost a century old — still be priced so high that people are going into poverty not just in the U.S. but in countries like Tanzania and elsewhere to get access to their medicines? If this market was working, something like insulin would now be at an affordable price. But it's not. There's something in the system of medicine pricing that's broken and it's something that we need to really look at and figure out how we can fix. Part of what you are arguing is that changes in global pricing could potentially benefit pharmaceutical companies by giving them increased access to billions of new customers in low- and middle-income countries. Have you seen an example of this? Other manufacturers in certain regions of the world [were allowed] to produce the medicines and supply them to certain areas at a much lower price. [Gilead granted licenses to two companies to produce generic versions of the drug to sell only in low-income countries. These were markets where few customers could afford the original list price.] And we saw the price of the hepatitis C medicines fall dramatically. How do you address the fact that some medicines, no matter what you do, are going to be incredibly expensive to produce? We want transparency from the industry. Tell us what your research and development costs are, whether it's an expensive way of production that you can't get away from or whether it's a failed production line or a failed [clinical trial]. As long as everybody is aware about that, people will be much more inclined to say OK, I'm ready to pay a little bit extra for this medicine because I know that it will help fund something that's going to help me further down the line. But at the moment there's all this murkiness. Part of the concern is the kickbacks, discounts, rebates, the perverse incentives in the system that are also unclear. So all we're saying is: Can we get transparency? Any final thoughts on the push for fair pricing globally for drugs? We need more dialogue [for example, at the current forum]. At the end of the day, we have patients saying, "I want access to these high-cost medicines. Why am I not getting it?" And I think people need to understand that changing systems is slow. [That] it doesn't happen overnight, but that there is a global attention on this issue and we are hearing their voices and we do want change. And that's why these forums take place.